Let the countdown begin! BeerSmith 2 will be available for download this Friday, 10 June 2011, starting at noon Eastern time (US) for both Windows and the Macintosh from our main site at BeerSmith.com. That only leaves you a few days to take advantage of the BeerSmith preorder discounts (both for new and existing users). BeerSmith 2 is the biggest product release since our original BeerSmith 1.0 way back in 2003 – a complete rewrite of the program for both Macintosh and PC, and we believe it will set the new standard for beer brewing software. In preparation for the launch, I’ve redone the entire BeerSmith web site at BeerSmith.com, and I’ve added a wealth of resources for those who might still be on the fence regarding BeerSmith 2. I think brewers at all levels will be happy with the result. Again, you can get a discount if you preorder your copy, but the preorder is open only until the official launch date. Also, I would like to take one more opportunity to thank the (nearly 100) people who participated in beta testing! The upgrade fee is something I would pay 10 times over to get a copy of the new program. I can’t imagine brewing without BeerSmith. It’s as important to my brewing as good sanitation. Thanks for the significant update, Brad! 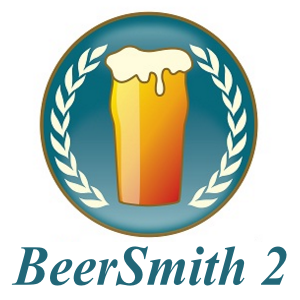 Next post: BeerSmith 2 Home Brewing Software is Here!